We promise that nobody will do more to train you, safeguard your business, and help you prevent counterfeit fraud and identity theft. 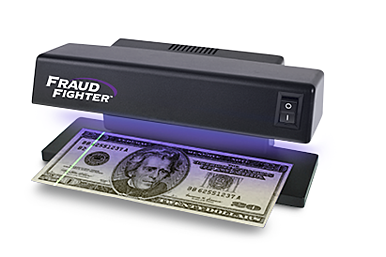 FraudFighter is a 15-year manufacturer of counterfeit detectors used by many of the world's leading brands. 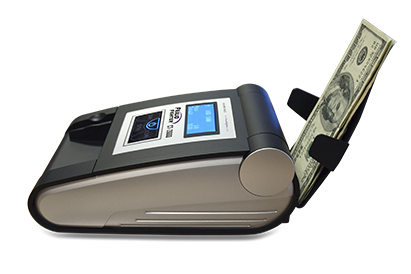 Our best-in-class ultraviolet counterfeit detectors and the two best-selling automatic currency detectors in the United States form the core of our product line. 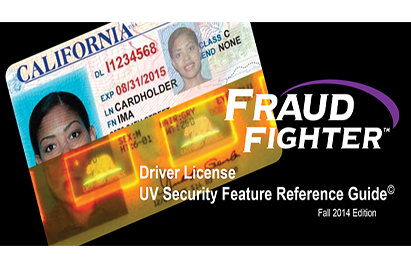 Detect counterfeits by verifying UV security features on cash (US & foreign), credit cards, driver licenses, passports, social security cards & other important documents. Steel Construction. 5-year warranty. 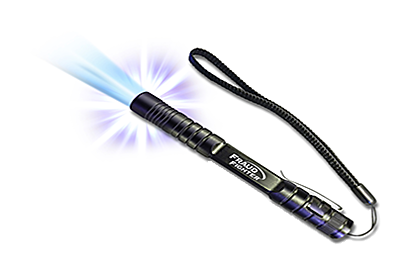 Verify the presence of invisible UV security features. Unique one-of-a-kind design does not use any space on the POS counter. Steel Construction. 5-year warranty. A law enforcement favorite. Portable. Solid metal. Water & shock resistant. 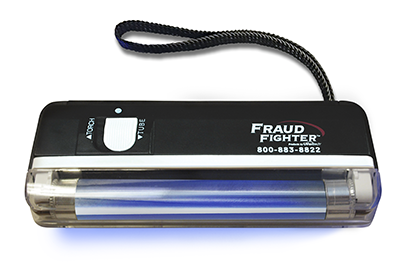 Easy to detect fakes with the best LED available in the market. 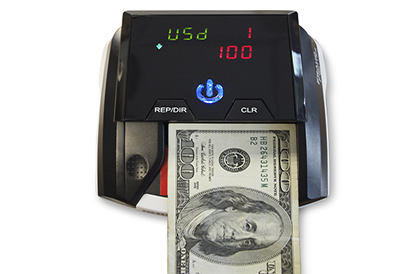 Make verification of US dollars easier! 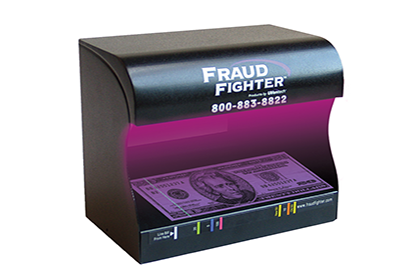 The Patented FraudFighter UV BriteStik works by enhancing the brightness of glowing UV security features on US banknotes so they are easier to see. Bills may be fed in any direction. Software for up to 8 different world-currencies may be stored on-board. Tallies all notes tested, with viewable reports. Optional: printer to print currency reports. Checks 5 different security features. 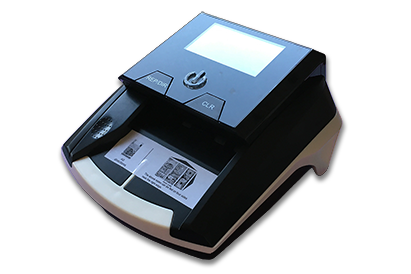 Adds currency total, viewable reports of number of bills tested. FREE SOFTWARE UPDATES when new currency is released.